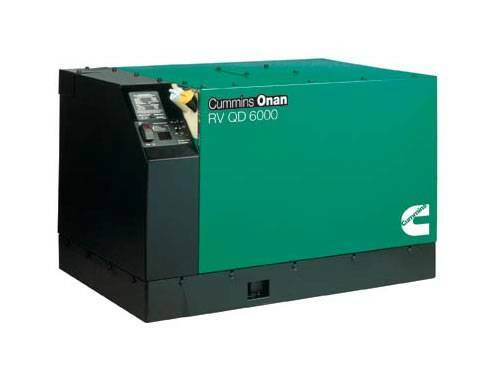 Cummins Onan 6.0 HDKAH-1044 Diesel Generator - RV QD 6000 - Quiet Diesel Generator with Performance you can rely on. Runs two air conditioners with power to spare. Quieter than National Park Service sound level requirements. Count on this reliable generator for your next camping adventure! Check out all the Cummins Onan RV diesel generators today at Colorado Standby! • Runs two 15000 Btu air conditioners with power to spare.